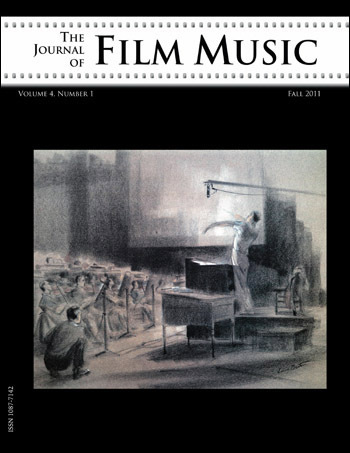 Rebecca Coyle published on screen music and sound in a number of journals and books, including two anthologies on Australian feature film music. She was the editor of Screen Sound, the Australasian Journal of Soundtrack Studies and on the editorial board for such international journals as Convergence and Music and the Moving Image. She taught in the Media programme at Southern Cross University, Australia, until her death in November 2012. This book spotlights animation as an audio-visual film form but positions the focus on its audio elements. 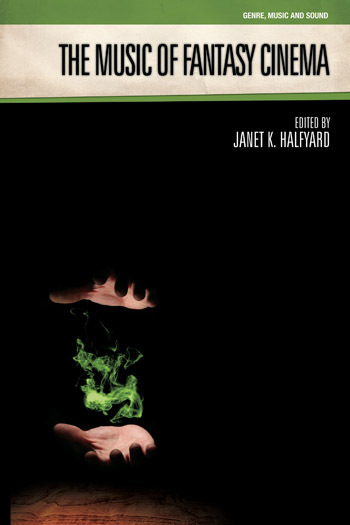 This chapter discusses the working practices involved in realizing the films and the way in which both Burton and Elfman place their individually distinctive imprint on the outcomes in truly collaborative works. It examines the ways in which music and songs help to structure the films themselves and allow humour and horror to be juxtaposed. 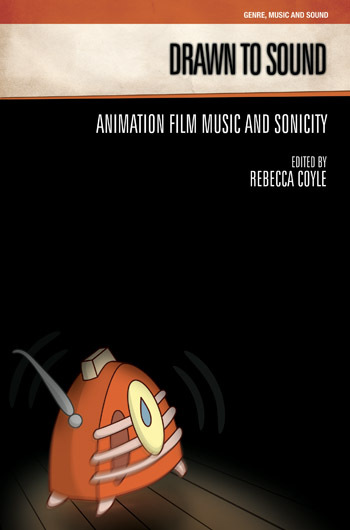 This chapter explores Halas & Batchelor’s responses to different animated musical forms over time and, most importantly, analyse the particular approach to animation soundtracks within the British context, set against its more well-known and acknowledged American cartoon counterparts. Kyoko Koizumi is an associate professor of music at Otsuma Womens University, Tokyo, Japan. She received her PhD from the University of London Institute of Education. Her research interests include youth studies of popular music and film music studies. This chapter investigates the musical styles and idioms of Hisaishi’s scores for Miyazaki’s animated films as a way of analysing them. Ian Inglis is Visiting Fellow in the School of Arts & Social Sciences at the University of Northumbria, Newcastle upon Tyne. His most recent books include The Words and Music of George Harrison (2010), Popular Music and Television in Britain (2010) and The Beatles in Hamburg (2012). His first novel Clay Lake is scheduled for publication in 2012. Yellow Submarine’s assembly of musical items – some old songs from the group’s previous records, some ‘borrowed’ and recycled from its store of discarded material, some new instrumental segments – was at the time difficult for a general popular-music audience to recognize as an authentic Beatles product. Furthermore, its collection of nursery-rhyme, music-hall, Indian-derived, rock, pop, psychedelic and orchestral styles defied any attempts at easy categorization. However, although audiences may have been deterred by these apparent inconsistencies, there is little doubt that for those involved in its production, the interplay between music and animation was crucial to its eventual ‘classic’ status. This chapter analyses the operation of the “accidental musical” text of the film. It considers the nature of the ‘iconic’ songs presented, the role of tap-dancing in relation to these and, in conclusion, how these relate to the eco-political messages that are heavily inscribed within the text. WFRR brings the traditions of cartoons and minstrelsy together, although it is not the first example of animation to indulge in the imagery and racism of minstrelsy. The film contains several elements of minstrel performances: singing, dancing, telling jokes, and while there is no direct representation of blackening the face with burnt cork, some more implicit vestiges of that part of minstrelsy may remain in WFRR’s use of ape imagery. This chapter first provides a brief overview of the representation of indigenous peoples in film. It turns to the animated film Brother Bear and demonstrates that the scripted motifs have antecedents in the folklore of several indigenous cultures. Les Triplettes de Belleville is the story of two historical eras – the nostalgic past and the crushing present – that intersect on two continents. The film thrives on nostalgia largely based on a narrative element introduced early in the film with a single line of dialogue. Presented as a function of memory, the idea of nostalgia relies heavily on sound design to establish connections to the characters’ past, to distant history, to other places altogether. Jon Fitzgerald is an associate professor at Southern Cross University, Lismore, and a practising guitarist and composer. He has previously written on a variety of musical topics and is author of Popular Music: Theory and Musicianship (1999). This chapter analyses The Brave Little Toaster’s uses of sound and music, locates these within the interrelated threads of its narrative themes and references to animation history and, offers a perspective on its production moment and the changing character of the latetwentieth- century animation industry. Lupin III comprises several television anime series and theatrically released films that were screened in Japan over a twenty-five-year period. This chapter analyses gekiban (dramatic accompaniment), the music used in Japanese animated films, by examining the Lupin III film products. Wallace and Gromit are the claymation characters devised by British animation director Nick Park. This chapter charts an aspect of Aardman’s transition to feature-film productions in Hollywood through an exploration of the music approach employed in Wallace & Gromit: The Curse of the Were-Rabbit. This chapter examines recent trends in animation soundtrack CD sales in Japan in relation to the distinctive character of the animation business. Animation music is well supported in Japan due to industry factors that impact on the sound of animation films. This chapter discusses approaches to the place and role of music in The Little Mermaid, and analyses some of the specific techniques employed in the songs and orchestral score. It then discusses the ways in which The Lion King successfully adapted and extended these approaches, using additional musical elements. Individual chapters of this book are now available to buy from Contents page.